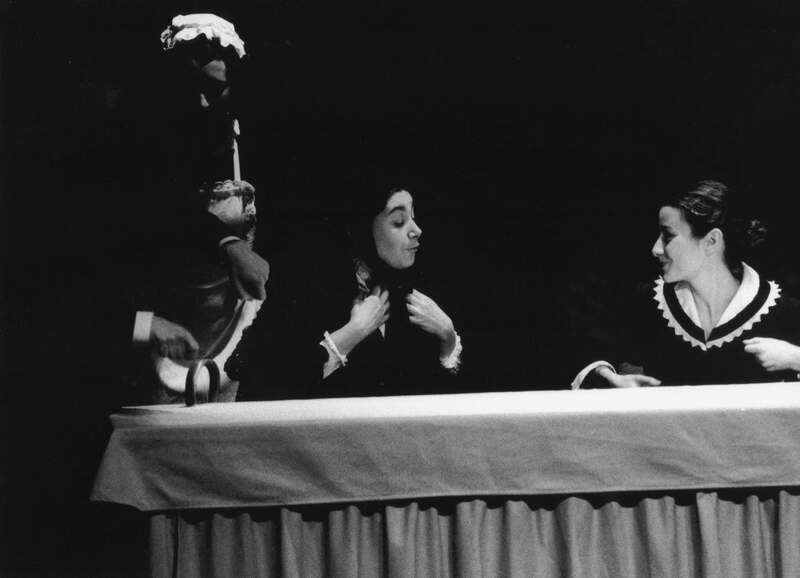 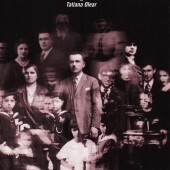 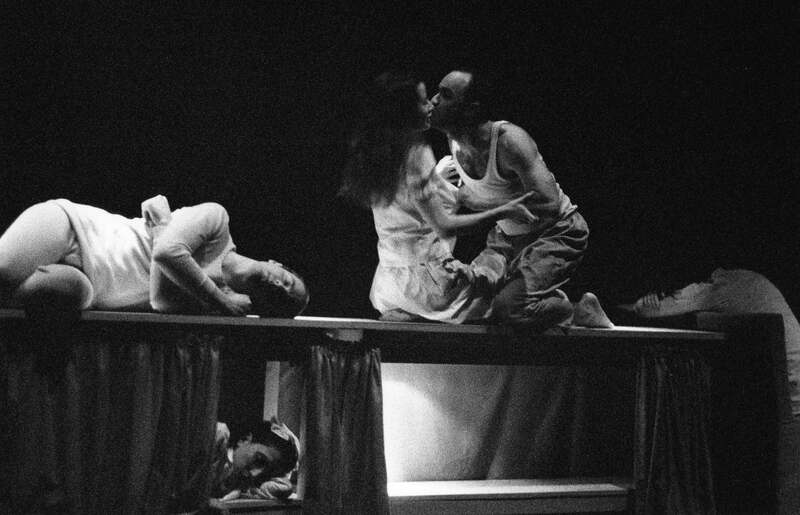 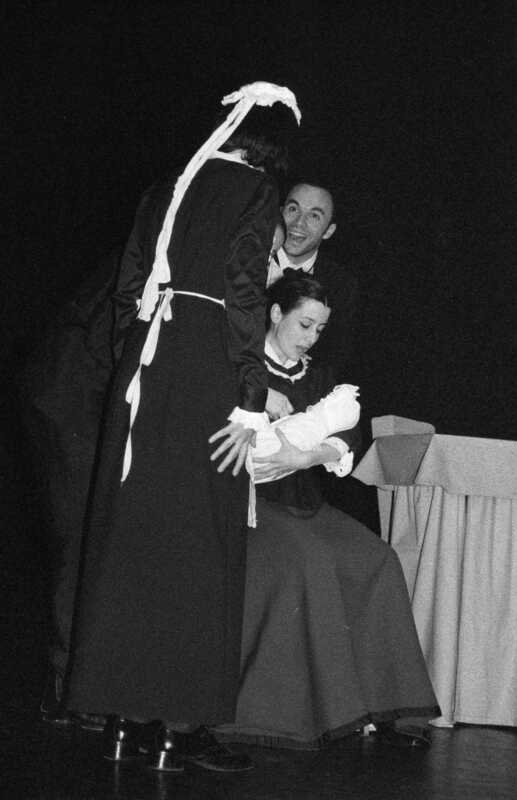 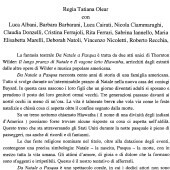 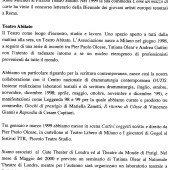 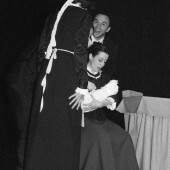 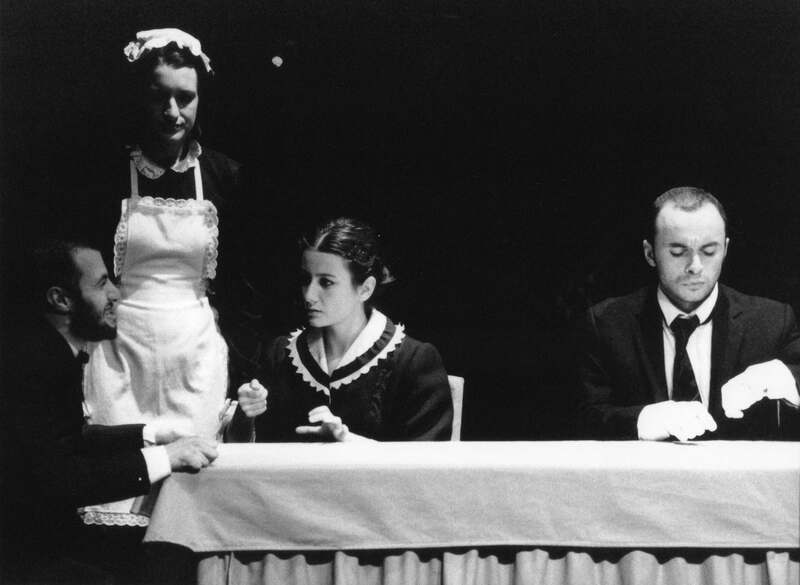 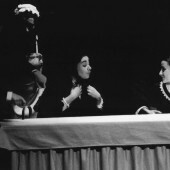 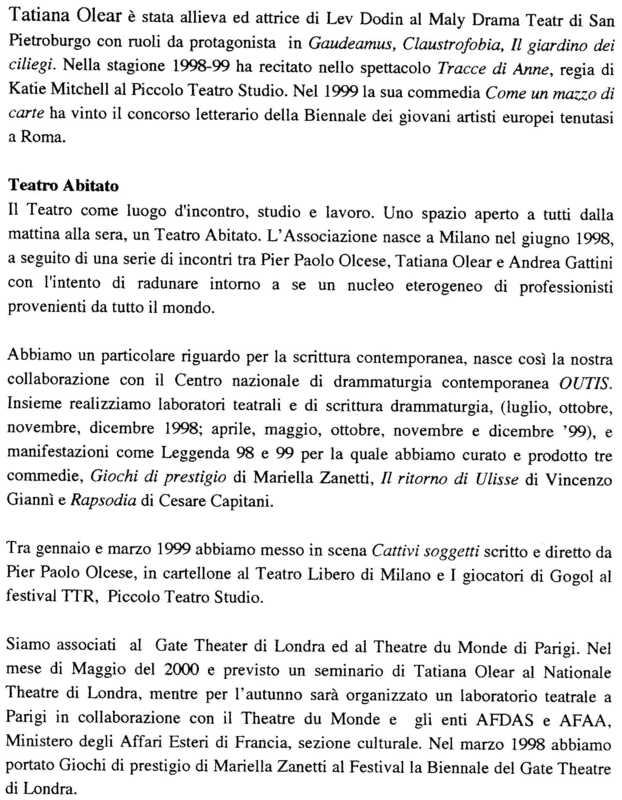 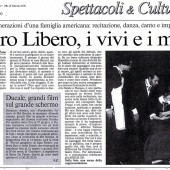 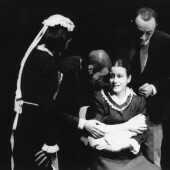 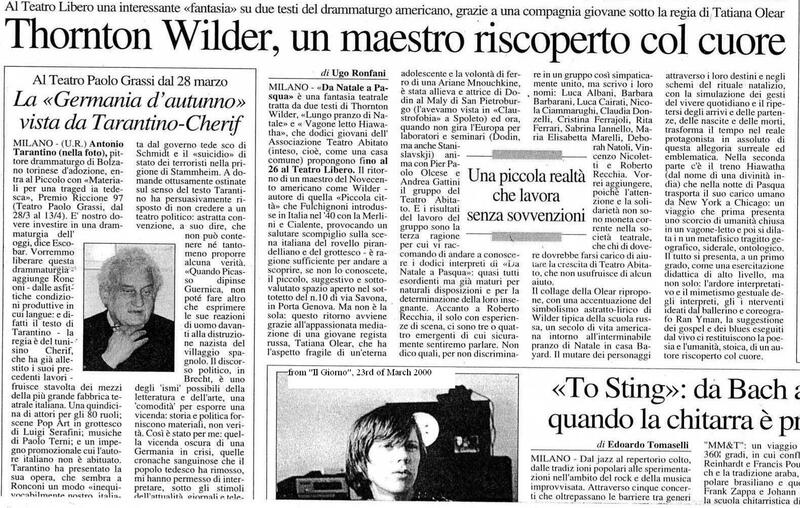 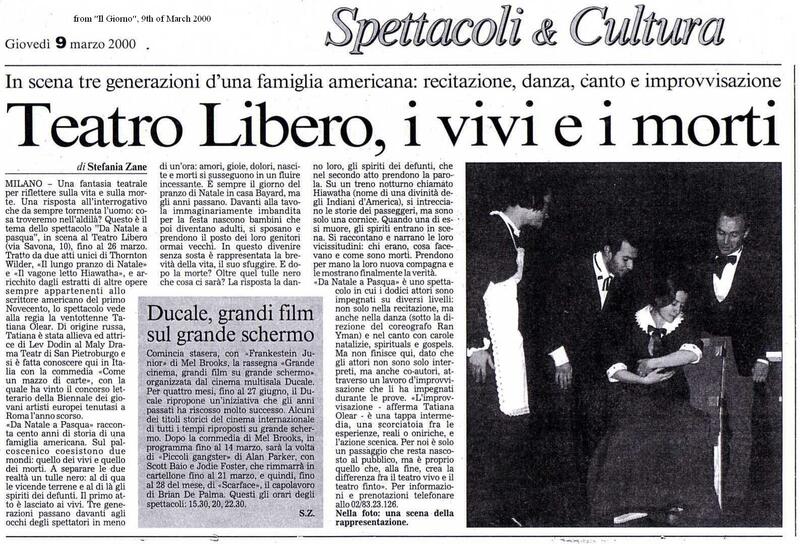 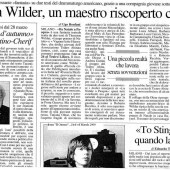 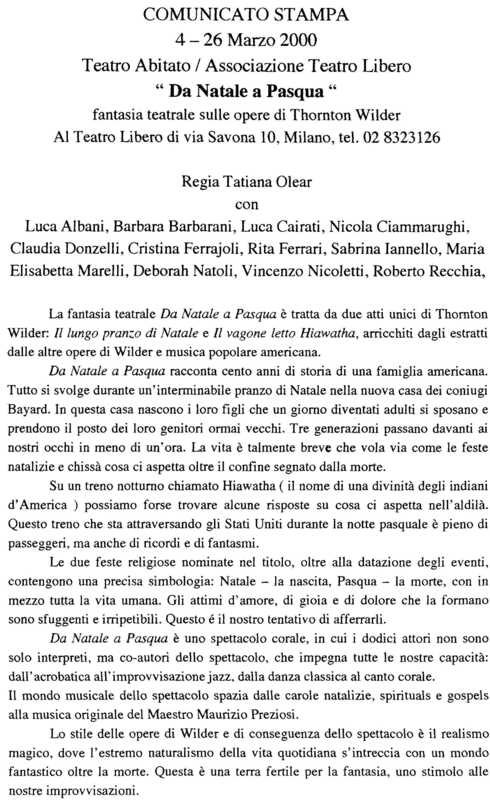 This theatre production, which was on in Milan for three weeks, was the result of two years of intensive workshops directed by Tatiana Olear, actress of St. Petersburg’s Maly Drama Theatre (Lev Dodin’s School), then teacher at the Scuola d’Arte Drammatica Paolo Grassi in Milan, the Royal National Theatre in London and the Abbey Theatre in Dublin. 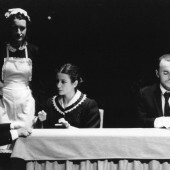 The workshops took place from 1998 to 2000, they were based on Stanislavsky’s original studies, and on an accurate work on the texts: The Long Christmas Dinner, Pullman Car Hiawatha and Our Town by Thornton Wilder, The Gates of Paradise by J. Andrzejewski, First Love by Turgenev, Spoon River Anthology by Edgar Lee Masters. 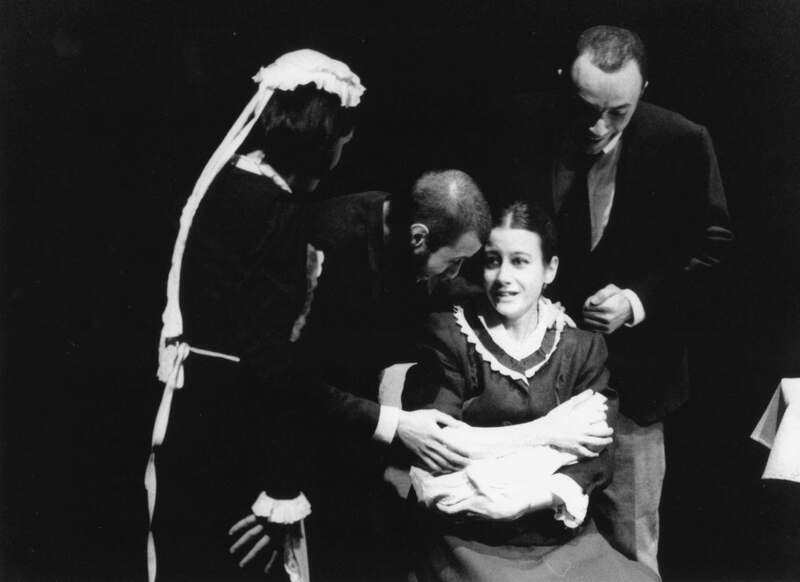 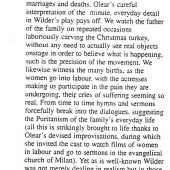 Tackling Thornton Wilder meant the need to learn how to work with imaginary objects, and to study the ageing process in human beings, as the characters in The Long Christmas Dinner cover a long time span and are ageing with the progress of the story. 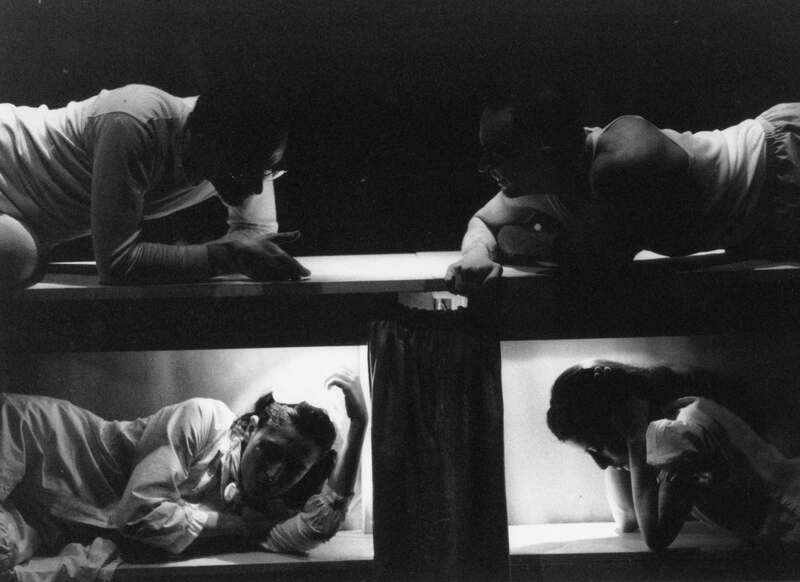 During the performance, actors off-stage produced sounds synchronized with the imaginary objects used on stage. 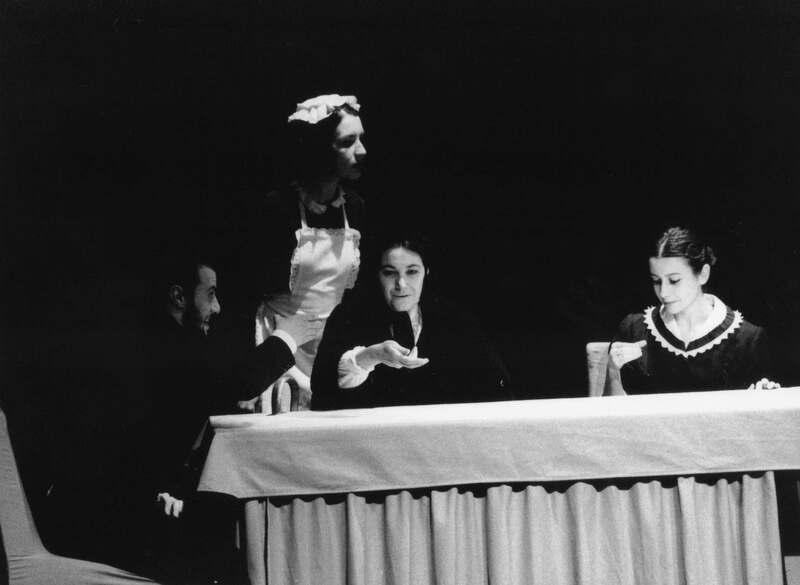 Working on Our Town and the Spoon River Anthology entailed studying a way to render dead people credible, therefore concentrating a lot on dreams, animals and inanimate objects in order to have different possibilities to represent souls. 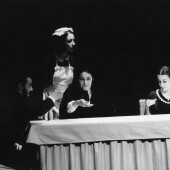 The style of the performance was then defined as “magic realism”. 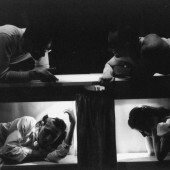 The group worked as an ensemble, and great part of the performance was created starting from improvisations of the actors, who were therefore co-authors of the show.